The Essex Region Conservation has issued a flood warning for portions of Leamington located between Wheatley Harbour and Point Pelee National Park. They say that due to continuing winds out of the east/northeast blowing at 25 to 40 km/hr, with gusts to 60 km/hr, flooding is presently occurring within the Cotterie Park Road area. In the affected area, portions of the travelled road surface and private lands are covered with water. The east/northeast winds are predicted to shift to southeast tonight with sustained speeds of 20 to 25 km/hr and gusts to 40 km/hr before shifting to southwest tomorrow morning. Based on current high lake levels, all other section of the east shoreline of the Municipality of Leamington between Wheatley Harbour and Point Pelee National Park and the east side of Pelee Island may also experience flooding, shoreline erosion and damaging waves until the wind shifts to southwest. 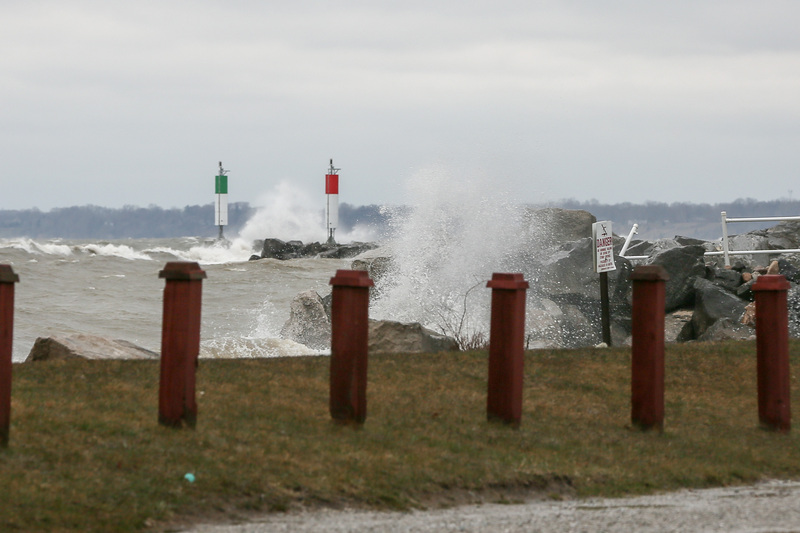 In addition, due to the Provincial lake level predictions for today and tonight, areas along the shorelines of Kingsville, Essex, Amherstburg, the Detroit River, Tecumseh, Lakeshore and the remaining shoreline of Leamington west of Point Pelee are expected to experience increased high water levels due to lake setup resulting from the sustained easterly winds. Significantly elevated water levels increase the potential for shoreline flooding and the risk for damage to docks and other shoreline infrastructure on private lands and within marinas.